Hi everyone. This is Becca, Rory’s wife. 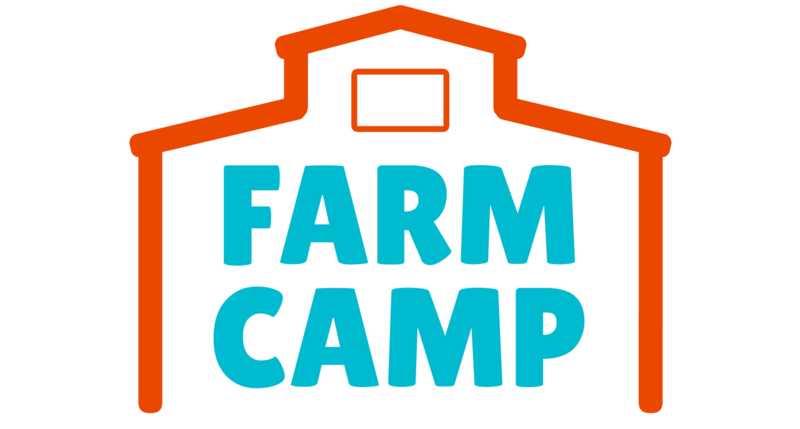 We have decided to team up a bit more as we share what we are loving and learning about our life in the country. 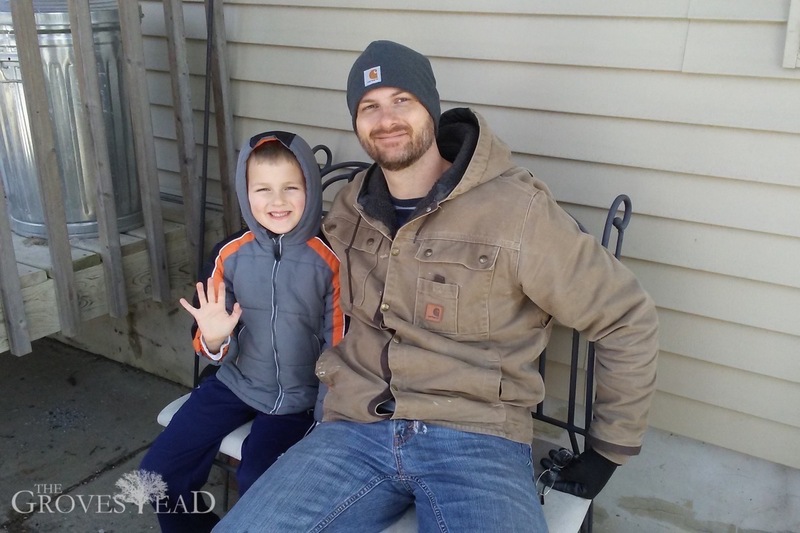 We feel a sweet call to share all that we are experiencing and will do that by each posting on this blog, as well as sharing more of the day-to-day on instagram and facebook. 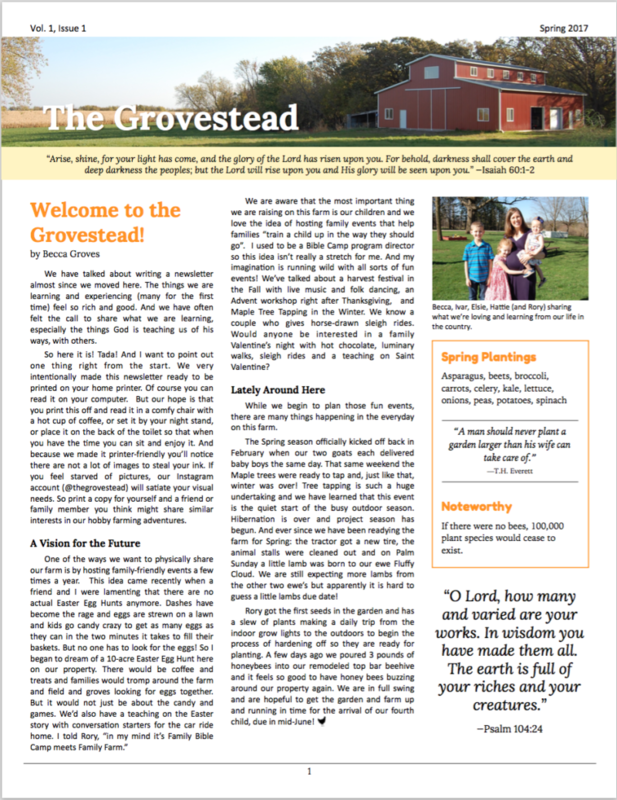 We’d love to invite you to join our farm fun on instagram or facebook, both @thegrovestead. I looked at her from across the table and said, “I have no idea what you are talking about. What are the health benefits of maple syrup?” And she went on to tell me amazing and incredible things! I told her the man leading the workshop likely didn’t know any of the nutritional side, just like me…having tapped trees for five years, and totally oblivious to the goodness of maple syrup. But it is! Maple Syrup is full of manganese, zinc and antioxidants. And of all the sugars (because let’s be honest, we are still talking about sugar here! And sugar is not great for you!) it spikes your glycemic index the least. Your body seems to know how to process and respond to this natural sugar better than the white stuff. All this to say, there is so much to learn in this life! Here we had the how-to down, but Lacy helped us understand another part of the why-to. 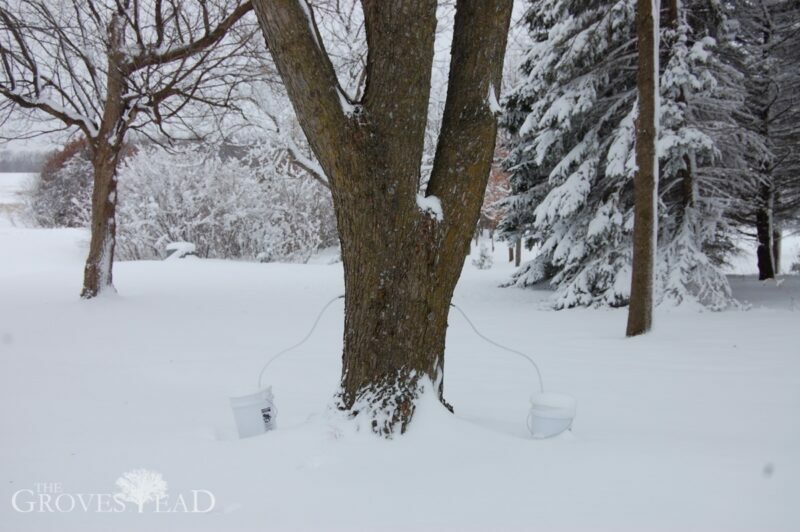 Our actual why-to is that for us, tree tapping is just a novel and amazing way to celebrate something incredible that is happening on our property each year. God is taking all of that melted snow that has absorbed into the soil and is pulling that water up through the roots of the trees (sap flows upward!) out onto every branch. That once-snow-now-water is full of good things allowing the tree to come back from dormancy. It literally pulses new life into each branch and tiny bud that will burst into a leaf. 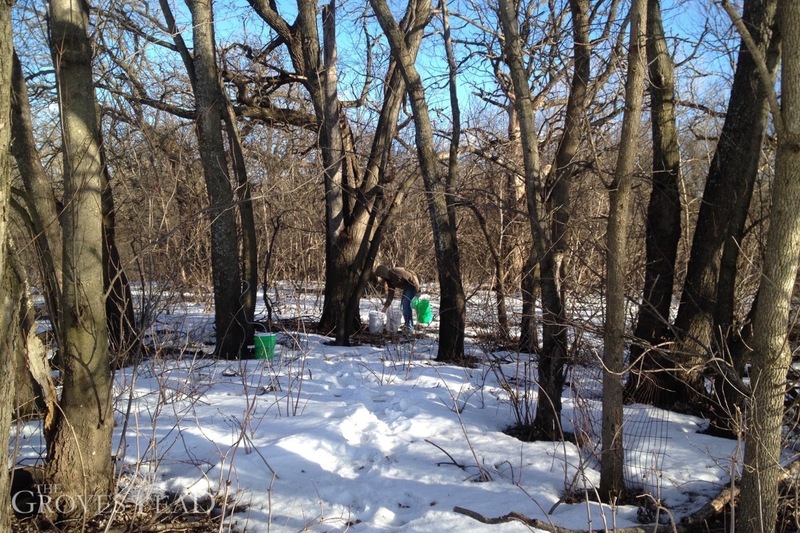 And there is so much sap pumping through these trees that we are able to tap into that abundance without harming the tree and enjoy the sap too. But tapping Maple Trees is no small task. When the trees started flowing this year Rory and I had to muster up every bit of enthusiasm because we knew what was ahead: lots of nights carrying five-gallon buckets from the woods into the garage. Lots of days standing by a fire watching water boil. Lots of late nights standing over a pot in the kitchen waiting for the sugar content to be exactly right. 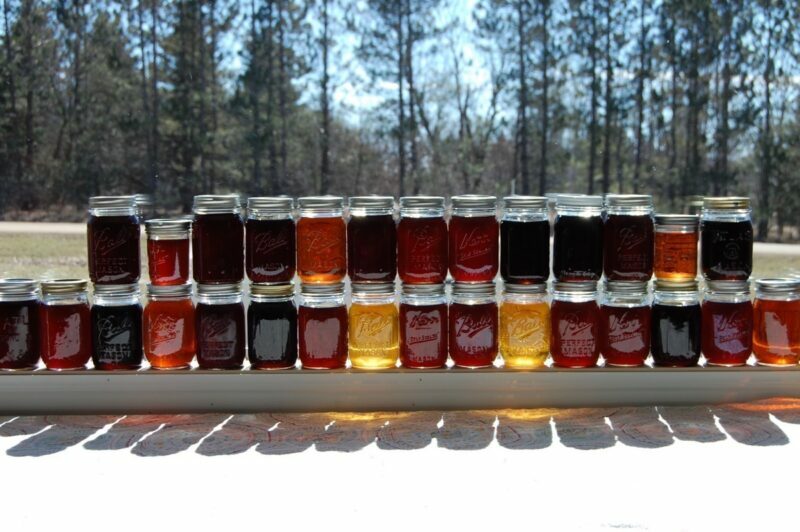 Lots of even later nights canning that syrup for storage. But we still do it every year because it is amazing to us. It is a wonder that all of this free sap is running up into our maple trees. 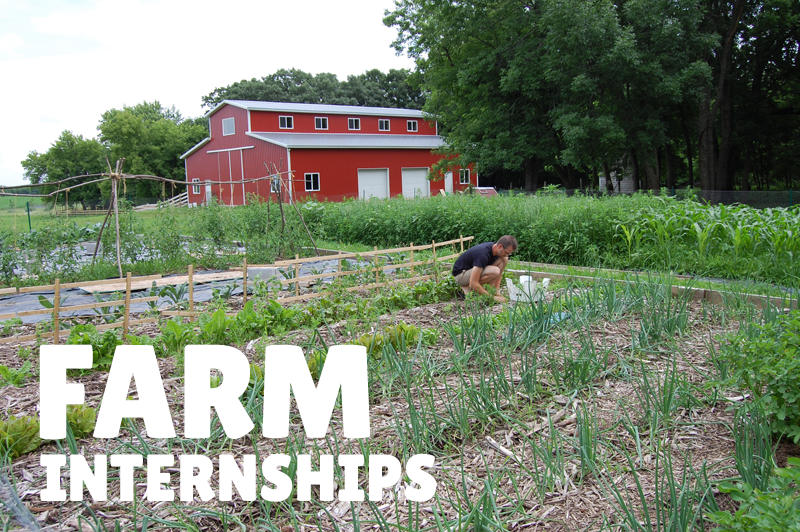 Our favorite lesson on our hobby farm has been how God doesn’t operate in scarcity. If you plant ONE zinnia seed in the spring, you will be able to gather 600 zinnia seeds in the fall, off of that one shoot. If you plant ONE corn kernel, you will harvest a stalk with 3-4 ears, all filled with hundreds of new seeds for next year. 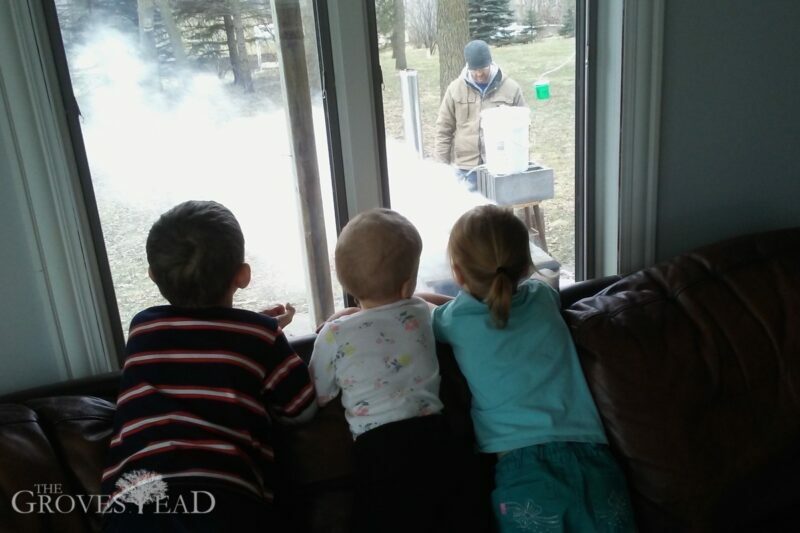 If you tap one maple tree, you will soon have buckets of sugary sap, waiting for your enjoyment. It is a lot of work. It is a lot of time. It is a lot of soot on my best kettle. It is a lot of campfire smell in all of our clothes and coats. But the things God shows us while playing in his creation is the actual fun of it all. And it is fun…just look at all of these glorious colors! 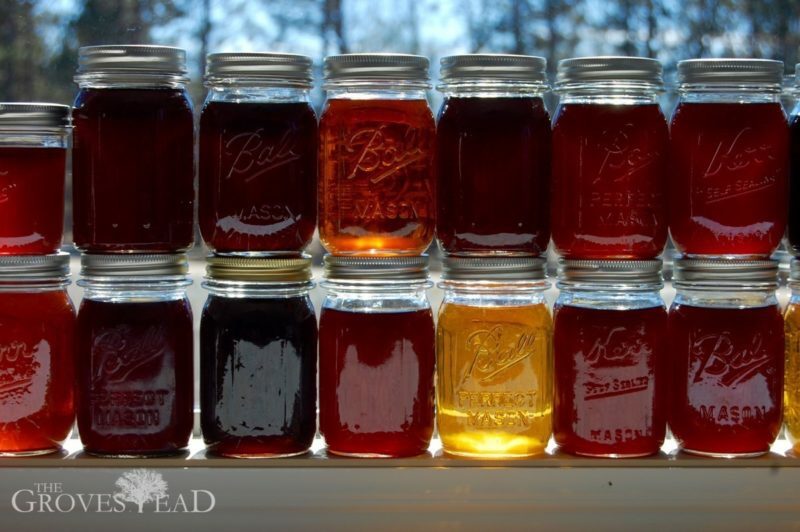 The colors vary based on the time of the season you collect your sap (the lightest color is the earliest sap) as well as the rate of the boil and the temperature when it was collected. And it all tastes delicious and now we can say is slightly nutritious.